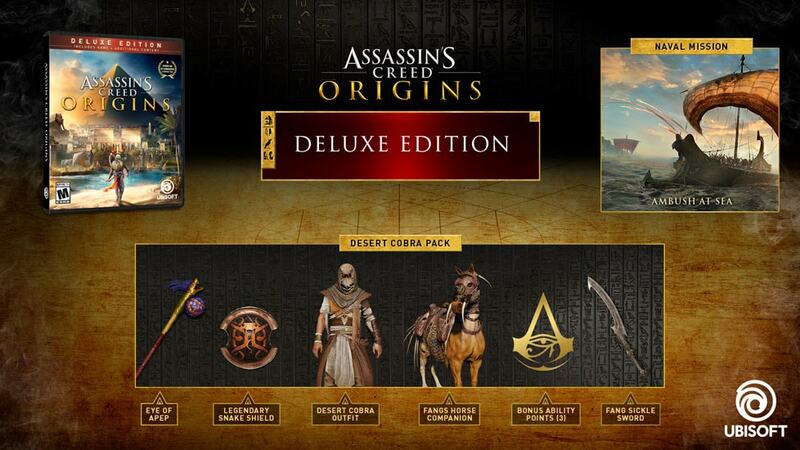 Upgrade to the Gold Edition for new expansions – Gold Edition includes the base game + The Ambush at Sea mission + The Desert Cobra Pack + 3 Ability Points + Season Pass and more! 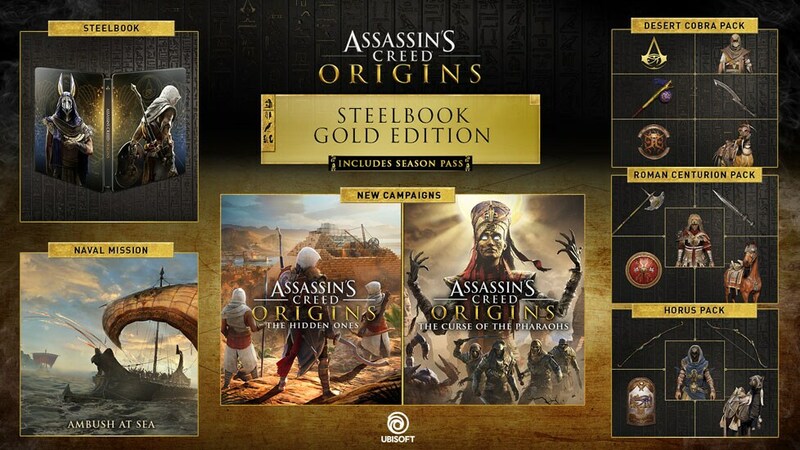 Upgrade to the Gold Edition for new expansions – Gold Edition includes the base game with collectible Steelbook+ The Ambush at Sea mission + The Desert Cobra Pack + 3 Ability Points + Season Pass and more! 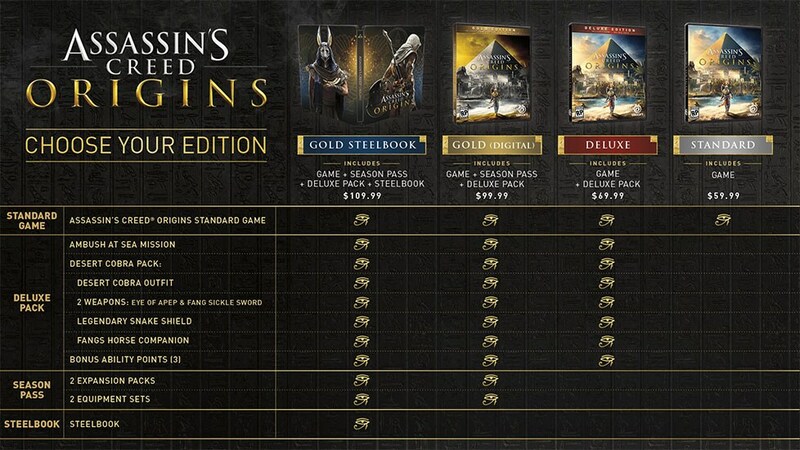 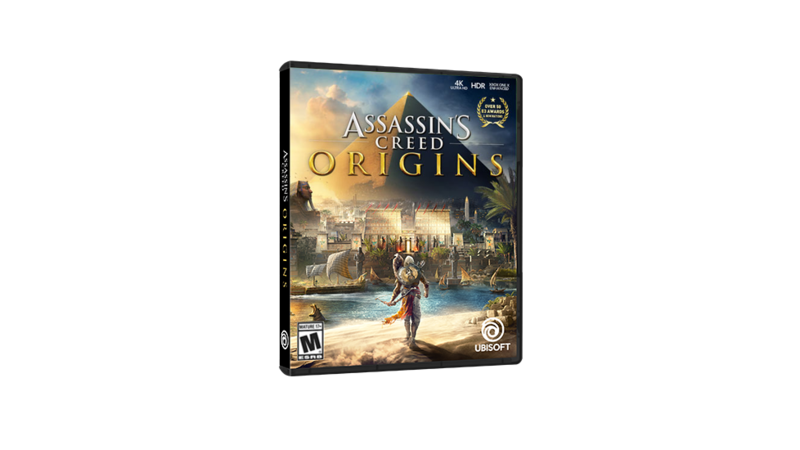 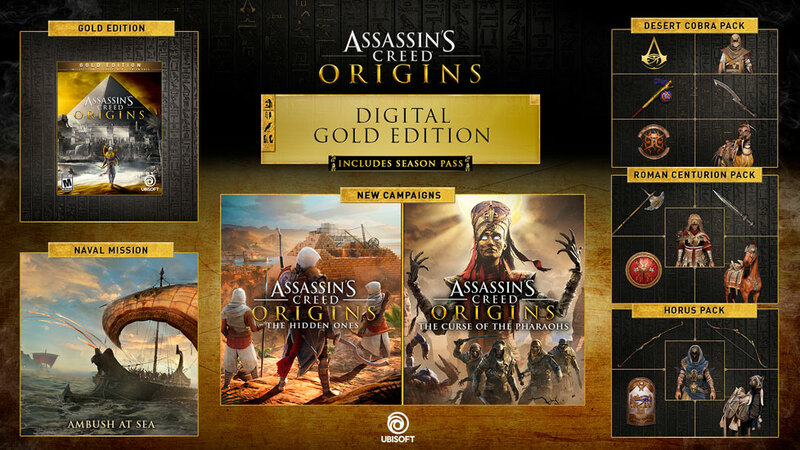 The Assassin's Creed Origins Gold Edition includes the Season Pass, Digital Deluxe Pack, and an additional mission. 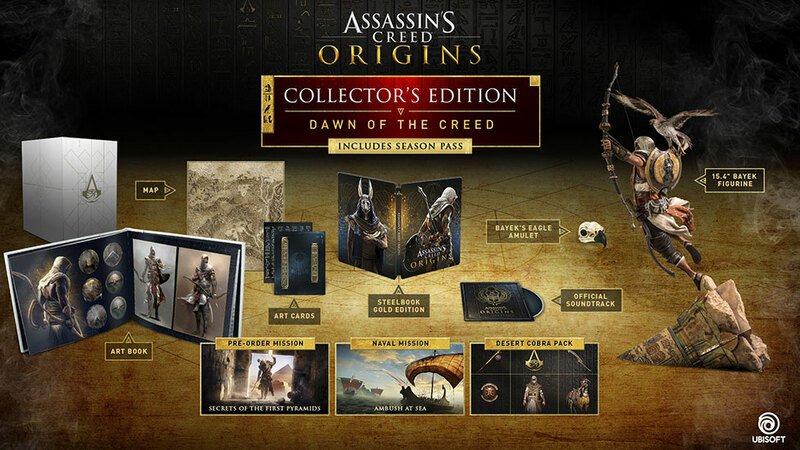 Also Includes: Premium Collector's Case, Replica of Bayek's eagle skull amulet, Steelbook, Artbook, Four 15 x 11 Lithographs, and the official game soundtrack. 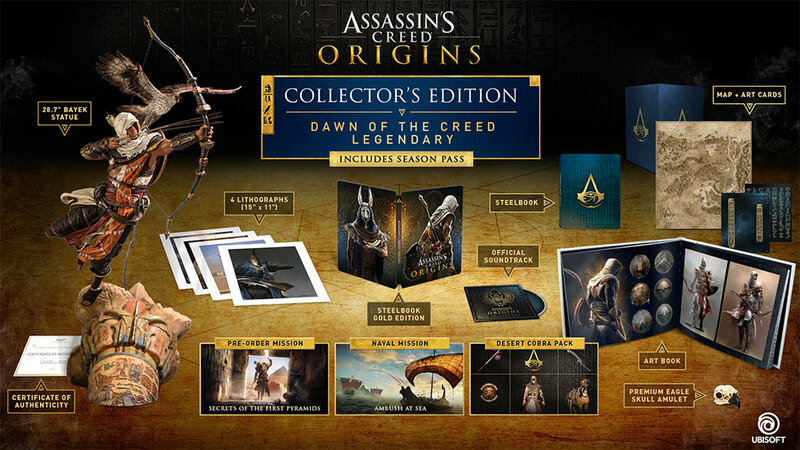 Discover how it all began for the Assassin’s Brotherhood and get your hands on the official Assassin’s Creed Origins collection, designed by Ubi Workshop. 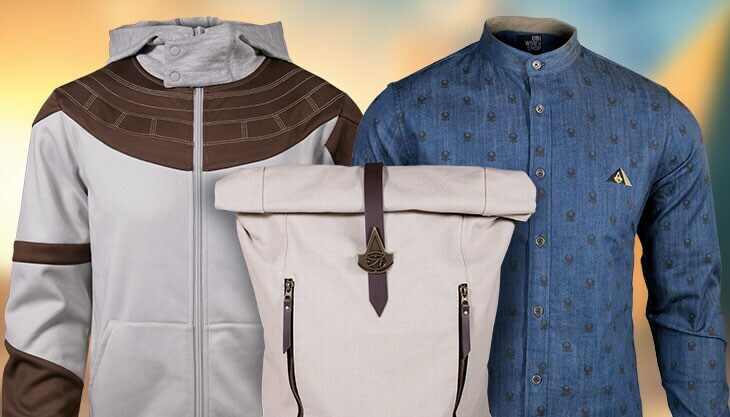 Sporting items derived and designed directly from the game itself, the collection is masterfully crafted and designed, with comfort and style in mind. 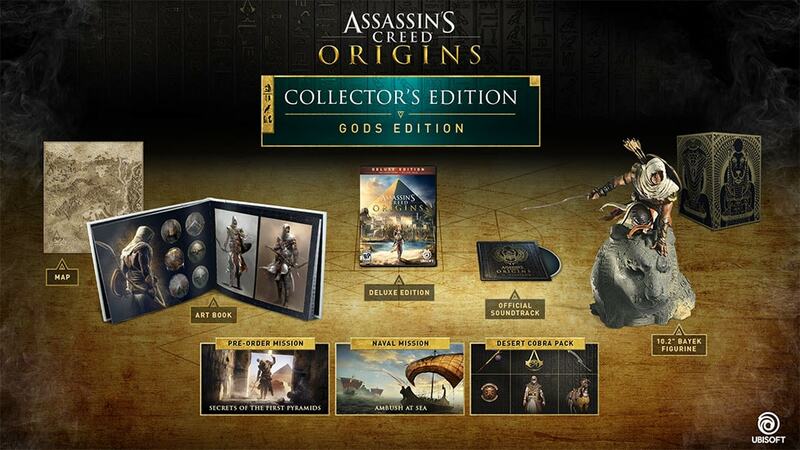 Discover all the mysteries of ancient Egypt with this new collection available now!